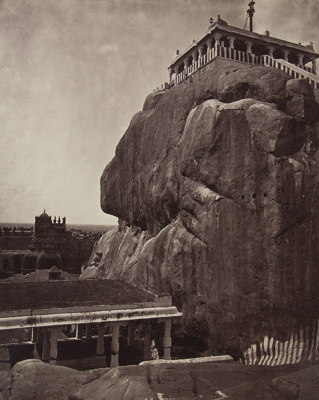 About this objectView of the Rock Fort in Tiruchirapalli, India. The note on the recto refers to the location under its English name under the British occupation, Trichinopoly. The fort and temple complex was built in the 16th century and rest on a rock nearly three hundred feet high. 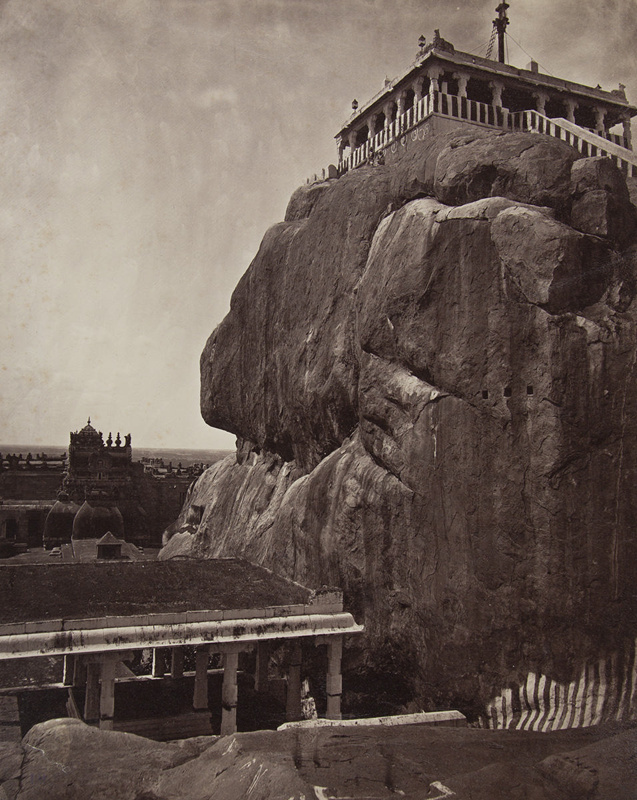 The rock itself is thought to be nearly four billion years old.The gopuram of the temple can be seen in the distance. Subject and Association DescriptionNicholas & Co. was a photography studio based in Madras from the 1860s to the 1890s run by John P. Nicholas. Subject and Association KeywordsNicholas & Co.